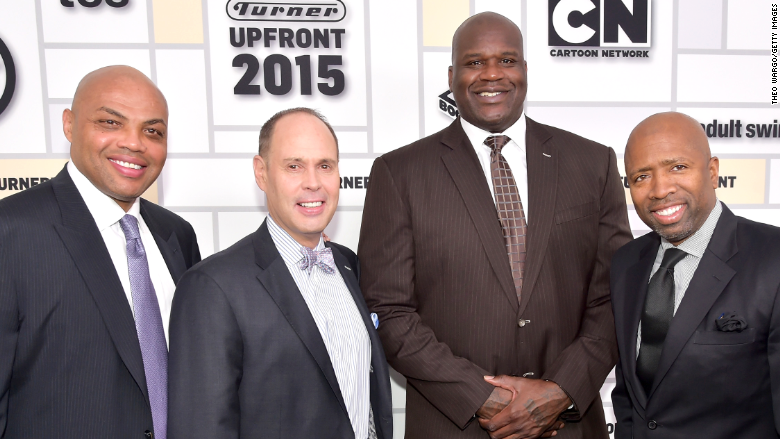 Charles, E.J., Shaq, and Kenny won't be leaving the "Inside the NBA" desk anytime soon. Barkley, Kenny, E.J., and Shaq will not be "gone fishin'" anytime soon. Turner Sports announced on Wednesday that it had extended the contracts of the hosts behind the award-winning NBA studio show "Inside the NBA." This includes analysts Charles Barkley, Ernie Johnson, Kenny Smith, and Shaquille O'Neal. The announcement came on the same day as Turner's upfront -- an event in which networks sell ad time to companies months in advance -- and Turner made sure to showcase the newly re-signed team. The quartet sat behind their studio desk on the stage of the Theater at Madison Square Garden riffing on why they resigned with the company. For Barkley -- who had said last year that he was contemplating retirement -- the deal was struck apparently over two bottles of wine and two bottles of tequila. "You ask [Turner President] David Levy. He came to my house with two bottles of wine and two bottles of tequila. We killed them, and he said 'we really want you back' and I said 'we have a deal,'" Barkley said to a laughing crowd at the upfront. Turner would not disclose the financial aspects or length of the agreement other than it being a multi-year extension. 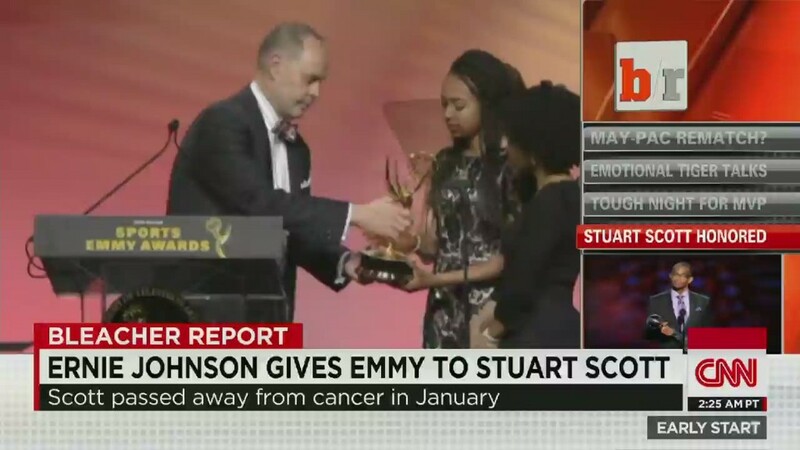 "Inside the NBA," which broadcasts on CNN's sister channel TNT, has won 13 Sports Emmys and has been a standout sports series since the ex-NBA star Barkley joined the program 16 years ago. Barkley's vocal personality and the show's on-going segments like "Gone Fishin'" -- in which the crew bids farewell to NBA teams that lost in the playoffs -- has helped "Inside the NBA" make a mark on popular culture. For example, the show's bombastic hosts have become fodder for the likes of NBC's "Saturday Night Live."